It has been over 15 years since we have met in Detroit for the MDAA Annual Session. Cobo Hall has been rejuvenated and excited to have the Michigan Dental Association / Michigan Dental Assistants Association back. You will be surprised at all of the beautifications that have been made to Cobo and the Detroit Riverfront. Once again our headquarter hotel will be the Crowne Plaza, formerly the Ponchartrain Hotel, across from Cobo Center. Student Day is on Friday, May 3, 2019, the House of Delegates and the Presidents Luncheon is Saturday, May 4. Both events will be held inside Cobo Center. More updates will be coming soon. Anyone interested in becoming a delegate should contact their local for more information. I am always available to answer any questions you may have. 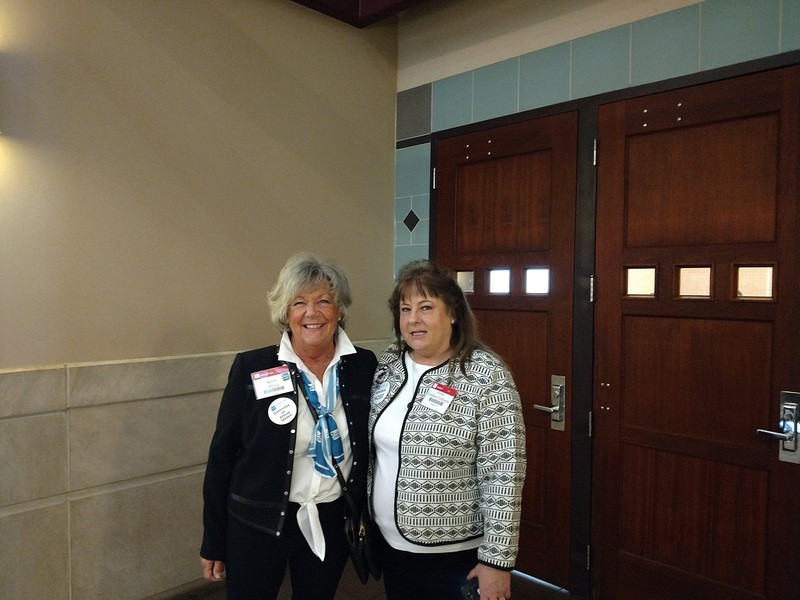 Karen Minca, Annual Session Chairman, poses with Gwen Graham-Feldkamp, our Vice President and Student Day Chairman, during the 2018 Annual Session. 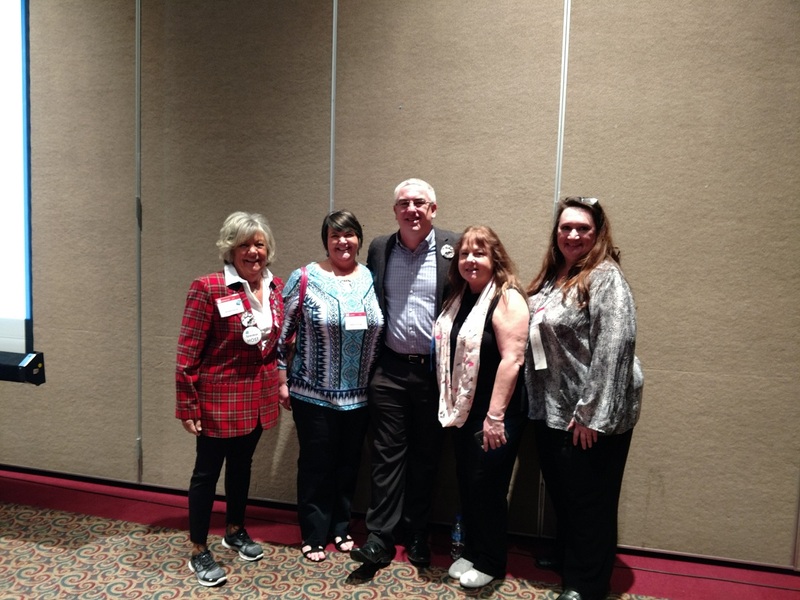 Our speaker, Kevin Henry, poses with MDAA officers during the 2018 Annual Session. From left to right, Annual Session Chair Karen Minca; Immediate Past President Lori Barnhart; House of Delegates Speaker Kevin Henry; Student Day Chair and Vice President Gwen Graham-Feldkamp; and ADAA President Natalie Kaweckyj.